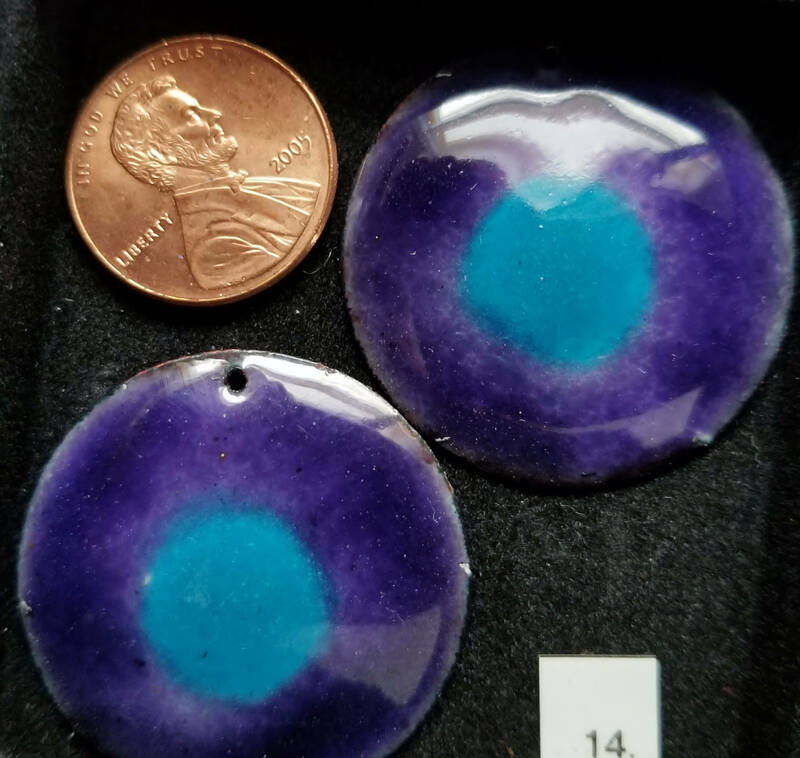 This lovely enameled pair would make a fantastic pair of earrings. These are enameled by me in my home studio, using copper and powdered enamels. Please reference the picture for size, and contact me with any questions. Thank you for looking!